When you think about public speaking, do you get sweaty palms, butterflies in your stomach, the jitters, or just simply nervous? Me too. We’ve written a lot about stage frightand the importance of practicing to make your best investor pitch, so definitely check those articles out if you are dealing with this. Nerves are a big reason we get stage fright and why we need to practice. Just the mere thought of having to pitch is enough to get the adrenaline pumping and the nervous energy flowing. Founders have so much more on the line than typical presenters do and its normal to feel overwhelmed with running your business alone, without trying to raise capital. We understand the immense pressure our founders are going through during the running of their startups and leading up to the pitch. It’s our goal that through reading this article, you’ll understand nervousness, why it happens and what to do begin to tame that energy and start to take advantage of it. As a founder you are not alone if you get nervous about public speaking. 2/3rds of Americans (or more) have stage fright. One of our biggest fears as a culture is that of public speaking. It is a very difficult thing to control nervous energy, no matter the severity, when in front of a crowd or someone who matters. Everyone, including professional speakers and actors, get nervous. Being nervous is a totally natural reaction that can have devastating effects on your pitch, your energy, and your self-confidence as a founder. Although it’s difficult to figure out how to get over speaking nerves, there are tactics to overcome it. Overtime, you can actually start to harness the energy and then use it to help you get passionate about what you’re pitching. You might even get to a point where the pitch isn’t as good without being a little nervous or feeling like there is something on the line. (the holy grail of public speaking).  When putting together a pitch or a pitch deck for your company, you will be projecting your thoughts into making the time in front of an investor or a large audience really count. Because you have the chance of losing the deal and not getting the outcomes you’ve been preparing for, you have additional pressure on you that typical presenters don’t have. Even people who present for a living get those nervous, jittery feelings – so it’s normal for founders to get those feelings in a much more intense way. Founders might feel pressure from financial stress, not wanting to let their families down, keeping their teams together, and meeting funding goals before time runs out – to name just a few of the common pressures. All this stress adds more intensity to the already scary proposition of public speaking while pitching. So let’s shift our focus now to how to actually make your nervous feeling go away and how to combat the heightened energy and intensity you will most likely feel during your investor presentation. First, think about the fact that you are there for your audience. And they are there for you. They are not there to see you mess-up and they actually don’t want you to mess-up. They are rooting you on. If you have ever been in an audience and you see someone stammering and having trouble, think about how much you just want them to get through it and remember what to say. I remember in college one of my classmates and friends was presenting. Suddenly, mid-presentation, he choked, he froze, stuttered and just literally quit and walked off-stage right in the middle of the presentation. I wanted him to win so bad that it actually hurt to see this happen. Think about the emotional impact of that for him and for us as his audience. And the funny thing is until that moment he choked he was doing incredible in his presentation. Please don’t let this happen to you or your audience! Keep in mind that your audience is there to learn something and to get some value out of the interaction. They actually need you to win at the presentation, so they can get what they came for. So it’s not even good natured feelings of support. It’s in their best interest for you to do well. And you can always count on this selfish motivation to be there for you. The fact is, it’s really not about you. It’s not about what you say or whether you said it the way you practiced or even if you remember what you are supposed to say. It is about conveying the information successfully to your audience and them hearing what you said and getting the value out of it. The fact that you are there to give information and help them, can help you focus, harness your energy, and push through the uncomfortable resistance you are likely to be feeling in these moments. This keeps you from worrying so much about yourself. And, makes it more likely that you’ll help your audience in the way you intended. Investor audiences are people too and selfishly, they are there to support you and their own interests at the same time. Investors and accelerators alike need good deals and they want to make sure they aren’t losing out on them to crappy pitches. In fact, a lot of the pitch review and coaching we do helps level the playing field at incubators and accelerators. When we work with an entire cohort prior to demo day, investors get better insight into the key elements of the deal as opposed to trying to sift through badly presented ideas. Investors want you to do well in your pitch so they can understand your company and the opportunity to make an objective decision on the deal you are presenting. You need practice to make sure you’re covering everything you need to be covering and that your pitch is succinct and flows smoothly. An extra benefit is that having enough practice really helps your nerves. You don’t want your investor pitch to be the first time you’ve run through your pitch deck. You also don’t want it to be the first time you’ve felt nervous while pitching. Granted an investor might make you more nervous than anything you can simulate while practicing. But, having a glimpse into your emotions can really help you not be hijacked by them. Try to stand in front of strangers or pitch to a video camera; something like that to really give yourself and extra layer of scrutiny. Invite your mother-in-law to the a video call or maybe your friends from your local startup community. Build the pressure as much as you can to make it more real. Make sure you are standing. You should practice the pitch as much like real life as you can, so you can give yourself your likely nervous reactions ahead of time. Then, when you feel those nerves creeping up, pitch through them. Try practicing them out. Stand-up, stand tall, and stand firm. Breathe through it, keep pitching and don’t worry about getting rid of nervous energy. Try to embrace it instead. They will become less of an issue as you practice in this way. The more you practice, the better you are going to be on the day of your pitch. It won’t be emotion free but being emotion free doesn’t make for a great pitch anyway. In addition, you are more likely to remember what you had to say if you’ve run through your pitch several times in a mock stressful environment. When you practice ahead of time, you are less likely to trip up or forget what you want to say, which will make you less nervous day of. Everything will flow as you have a conversation with your audience. You won’t be trying to remember that one word you meant to say as you talk to you audience. When you practice it will be more like a conversation. Can’t stress this enough – Even if you do nothing else, we suggest making sure you practice as much as you can. A third way to get rid of the nerves is actually from a study by a woman named Amy Cuddy. Check out her TEDTalk on this concept here. What Cuddy found is that, body position and body language tend to communicate to the outside world how you feel inside. For example, when you are feeling sad, you tend to sit closed or tight. Surprisingly, she found that the opposite is true as well. How you stand and how you position yourself can affect how you are feeling inside. For example: if you are sad and you try to smile you will have a hard time staying sad. Not only is how you are standing telling the outside world how you feel but it is also telling your body how it feels. If you want to be calmer and more confident when you pitch, do something called the Superman or Superwoman pose. They found that if you stand in this pose for about 30 seconds any time before you need to be more confident, comfortable or assertive, that you would actually FEEL more confident. Don’t actually do it in front of the audience as that may be awkward to walk up on stage and do the SuperMan pose in front of your investors or a large demo day crowd. But do it sometime before, like in the bathroom or the hallway or the parking lot. Do try it. Stand in the pose and feel the confidence that comes with it and I know it will help shake some of those nerves off just before you pitch. and if you need more confidence during your pitch, just do a more natural variation of it (stand tall) and keep pushing through resistance. Thanks for reading and joining us this week! If you have any other ideas on how to get rid of nerves that you’ve found useful, we’d love to hear about it in the comments below. If you have a new idea for a Pitch Hack or Blog, let us know. If you are a startup founder pitching to investors and customers we want to make your life easier. And we have a ton of knowledge that’s just waiting to get out, so don’t be shy. There is a link in the description to submit new ideas.